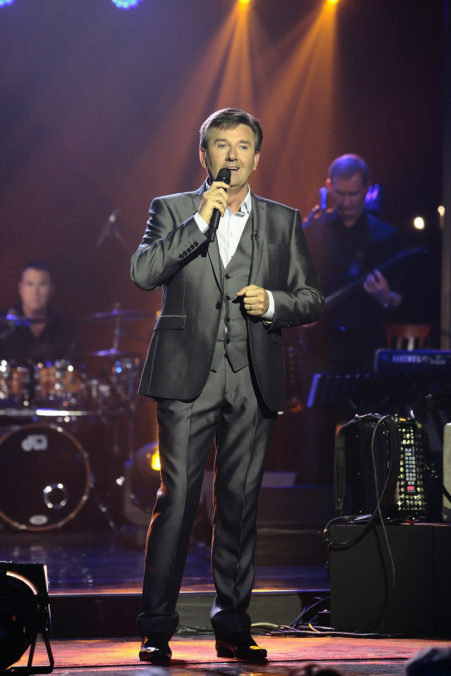 Since becoming a bonafide superstar in North America approximately 15 years ago, Daniel O’Donnell has had the opportunity to perform in countless cities and towns throughout the continent. Although he is no stranger to the Maritimes, having previously performed in Halifax and Saint John, his show at the Moncton Coliseum on Sunday evening marks the first time the acclaimed singer will be entertaining Hub City residents en masse. O’Donnell’s Moncton tour stop, undertaken in support of his latest release Back Home Again, is one of 15 on his current Canadian tour, a trek that kicked off on Sept. 7 in Victoria B.C., and is slated to wrap up in Newfoundland on the 28th. Given the massive success that has greeted O’Donnell here in Canada over the last 15 years – he has racked up an envious sales record comprised of both albums and concert videos – his career, like many before him, got off to a rather unremarkable start in the early 80’s when he joined his sister Margaret on stage with a guitar that he admits he couldn’t play. It would be a slow rise to the top for the singer. Compounding matters and adding a sense of urgency to his career, somewhat expectedly, was O’Donnell’s decision to pursue music full-time. “I never did have any kind of backup plan. I wanted to play music, if only because I had such a strong longing to do it, and so I left college to pursue it. It was very much a ‘now or never’ kind of decision. I realized that I would have hated to get older and felt I never did give it my best shot,” he says. After having to change his course many times throughout the early 80’s, O’Donnell saw his luck begin to change around 1986, when he was introduced to Sean Reilly, a man that he is proud to still call his manager more than 30 years later. While O’Donnell found success in Europe, it would take another number of years before that success would spread overseas to North America. He insists the wait was well worth it. Earlier this year, O’Donnell made history by becoming the first recording artist in the history of the U.K. Album Artist Chart to have charted at least one new album each year since 1988. In total, the singer has now had more than 37 albums land on the U.K. charts, and has amasses 31 top 30 albums over the course of his career. Following his Canadian tour, O’Donnell will cap off 2017 with a pre-holiday tour of the U.K. and Scotland. The new year will see him undertake a sizeable American tour, which kicks off in mid-February in Florida. When: Sunday Sept. 24, 7 p.m.
Tickets are $74.50 plus service charges. Advance tickets are available at the Coliseum Box Office, by phone at (506) 857-4100 and online at tickets.moncton.ca.